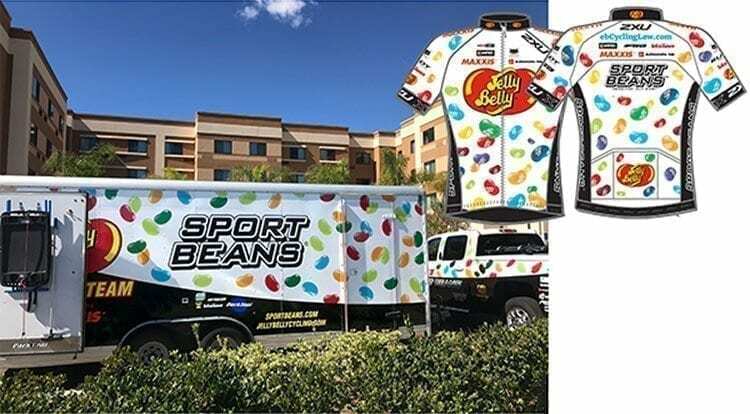 The Jelly Belly Cycling Team is getting together for the first time of the 2018 season this week in Oceanside, California. New riders are being fit for new kit, bikes are dialed in, and sponsors and media will all have some time with The Team. There will be a ride with local friends and supporters on Sunday, February 25th, at 9:00 am from Nytro Multisport in Encinitas with a meet and greet after. Oceanside is a new location for the camp, offering access to any type of training ride and spectacular year-round weather. Many know the North County San Diego city for its Ironman and its proximity to Camp Pendleton Marine Corps base, which provides a natural buffer between San Diego and Orange counties. Team owner, Director, and legend, Danny van Haute will have a less-involved approach to this camp, as he recovers from a scheduled procedure to replace an aortic valve in his heart. “The problem was congenital and has nagged at my overall health for some time,” said van Haute. “It was time to address it, and we did all that we could to fit the operation between team events and get it out of the way ahead of 2018’s first races.” The procedure was successful and Danny will be back to ice hockey and bike racing in no time.